Hey y’all! Music City is one of the greatest hubs of creativity in the World, not just for the music for which the city gained its nickname from but for artists of every cree. The Record Shop is very excited to get to share some of the great local talent that Nashville has to offer. We had the privilege of chatting with Cari Gray, a local artist who specializes in hand-carved, vinyl record sculptures. A native of Tallahassee, Florida, Cari moved to Nashville back in 2005 to complete her degree in the Music Business from MTSU, and currently works at Sony Music Nashville. The Record Shop first met Cari a few weeks ago at the Tomato Art Festival in East Nashville. Our Master in Chief, Sean Giovanni, saw a piece Cari had carved in the shape of his home state Michigan that now proudly hangs in the confines of our Nashville Recording Studio. The Record Shop: How long have you been an artist? What got you started? Cari Gray: I have always been pretty creative and crafty and I would rather be doing something productive than watching tv or reading a book. Unless it’s shark week. Then all bets are off. I just started cutting records this past December; I’ve made record bowls and bracelets out of vinyl in the past but never just cut one up. I made the state of Texas for a girl at work and it turned out pretty good. She put it up at her desk and before I knew it 10 other co-workers wanted their home states cut. Tomatofest was the first time I displayed my records and it was a blast and was super successful. It’s nice being appreciated for your work, especially when you just fall into it like I did. RS: Who are some of your biggest inspirations? CG: I like all kinds of art and there are so many talented people in Nashville. But I don’t know anyone who hand cuts records like I do. I’ve heard of people laser cutting records because people always ask me if I do, but every record is different because they are hand cut. And, I honestly wouldn’t know what to do with a laser anyhow. RS: Do you spare certain, special records from becoming pieces, or are they all fair game? CG: Everything is fair game. I try to match the state with the artist or a track on the record as best as I can. 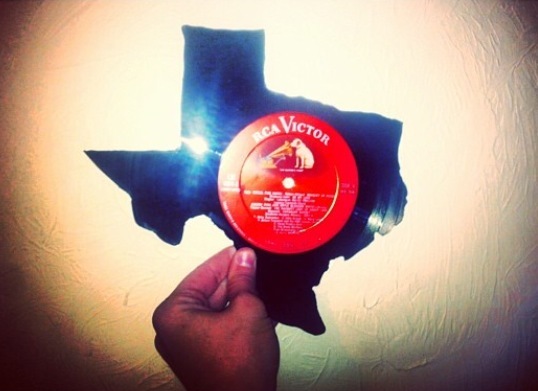 For instance, if I cut a Texas record I would try to find an artist from there like Willie Nelson. RS: Do you remember the first record you carved? CG: I don’t remember which artist was on the first record I cut. I know it was an RCA Victor record though, and we work for RCA. So, that’s why I chose that one. RS: How do you decide on what to carve out of a record? CG: I like to cut states out of the records because I feel like most people that I’ve met here aren’t from Nashville so people like to represent their home state. I know I do. But, that’s the great thing about Nashville. Artists come from all over for music and whatever else. I was a 20 year old once who moved up here to be a singer too, like a lot of other people. I also like to cut out random silhouettes, animals, and musical artists. 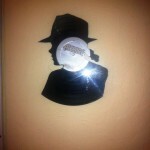 I love Michael Jackson so I’ve cut a few out of him. I honestly just cut out whatever I like. It could be a unicorn if that’s the way I’m feeling that day. I just google whatever I want and try to find an outline for it, and if I can’t Find what I want I just free hand draw it. RS: What records have you playing, instead of carving? CG: I listen to all kinds of music, literally. I work in country music, but my husband [Jeff Shields] is the lead singer of two rock bands (Stereoside and Stone Glory) so I listen to his stuff a lot also. So if I finish something cool, I go in the music room to make sure he thinks it’s just as cool because I am so new at this whole record cutting thing. Then I return to the craft room with my safety glasses covered in vinyl dust. So it works out pretty well. 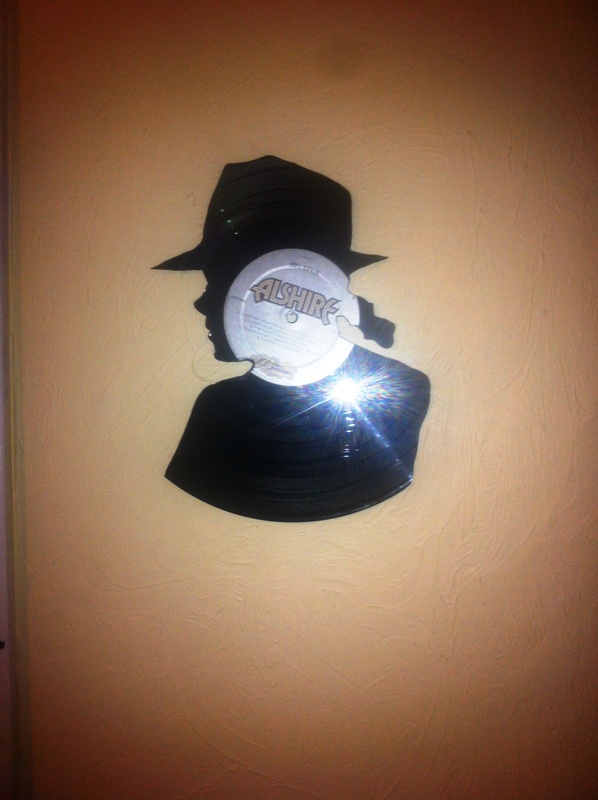 I have a good collection of vinyl, mostly rock n’ roll, Sam Cooke and Michael Jackson. Lately, I’ve been listening to The Wild Feathers and a lot of other local bands. We are so spoiled here in nashville. Spoiled indeed. Nashville is a truly remarkable town full of incredibly talented artists like Carilyn Gray. If you like Cari’s work as much as we do, and how could you not, you can click HERE to go to her website where you can view and purchase her work! Thank you for spending some time with us here in The Record Shop! Be sure to follow and chat with us on Twitter, @therecordshop, for daily updates from Gio & the Henchmen. We’ll see you next time! Over the last few years, Nashville’s music scene has elevated itself into international recognition due to the density of both the music business and the creative guitar-pickers, ballad belters, and session gods whose music graces the ears of locals and visitor alike. 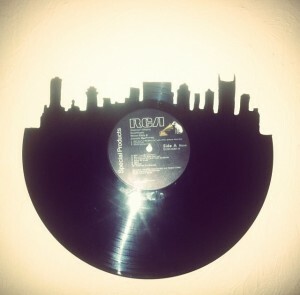 The Nashville Skyline is alive with the sound of music! Everywhere you go you are bound to hear music radiating from the local bars or some beautiful soul busking on the street corner. Music is love. Music is life. We’d go so far as to argue that there is no other city in the world that is more involved, entranced, and obsessed with music than Nashville. So as a budding artist who bravely wants to venture into the world of the music industry, here are 6 reasons why Nashville is the right place for you to be! Nashville has been immersed in the Music Biz since the turn of the 20th century. Since then, the Nashville Sound, and the massive amount of hard work put in by this town’s locals, has lifted Nashville’s rank to that of NYC or LA. In recent years, Nashville has even surpassed the coastal giants in regards to industry involvement. According to the Nashville Area Chamber of Commerce’s analysis, found HERE, the Music Industry contributes $5.5 billion to the local economy and is responsible for around 56,000 jobs. Everything an artist could need is here, and anyone an artist may need to help build their career is easily found here. What are you looking for? A Manager? A Booking Agent? A studio to record at? A Publisher? An Entertainment Lawyer? A PRO to join? A quick Google search will provide you with lists of professionals who want to help make your career take off. Nashville also has a very large film and photography scene for when you or your band are ready to shoot some music videos or get some photos from your next show. Come down for a visit, and you will immediately be greeted with audible bliss emanating from someone with an instrument and a dream. On any given day, at any given time, one can hear and see live music. Step onto the fabled Broadway Strip where every bar and honky-tonk you pass has sweet music pouring out of it like electric sugar! Continue your search for live music, and you will come across Nashville’s many music venues too. Spring Water, Mercy Lounge, Station Inn, The Cannery Ballroom, Exit/In, Marathon Music Works, The Belcourt Theater, 3rd and Lindsley, The Basement, and 12th & Porter are just a few of the great venues in Nashville to check out great touring acts and local bands. Then you have the Legendary Ryman Auditorium, TPAC, and Bridgestone Arena housing big name acts. Are you a singer/songwriter or solo act? Then you’re in luck, because Nashville also has many open mic’s and writer’s nights all over town; Bluebird Cafe should be first on your list! Nashville is the new Grenwich Village; a true bohemian hotspot oozing with creativity, vibrant colors, and a style all its own. Each street you walk down has retro coffee shops, vintage clothing outlets, houses that have been turned into independent businesses (shout out to the Pfunkey Griddle! ), and each one has endless racks for hipsters to lock their fixed-gear bikes too. Good vibes are always being spread from the beautiful people of Nashville. 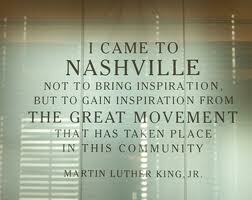 Spending time roaming Music City and interacting with it’s inhabitants is bound to get your creative juices flowing. More of a night person? Perfect, because Nashville’s night life is completely our of this world bonkers! From the great bars on Broadway and Division Street (there are so many more too), to karaoke, dance clubs, dinner theater, and more, Nashville has it all. Follow this link HERE to the Nashville Scene’s website where you can get a better idea at all the great places and events Music City has to offer. When people think about breaking into the Music Industry, their first thought is to move to the NYC or LA. We say NO! Move to Nashville instead where Southern hospitality is alive and kicking. Many professionals have moved here to get away from the blunt, fast-paced world of the coasts. In the South, people are genuinely interested in you. It is very common for meetings to start off with 15-20 minutes of getting to know each other, asking how your mother is doing, before getting down to business. There is a low tolerance for rudeness round’ these parts, and having polite manners will gain you more brownie points than having a good song. 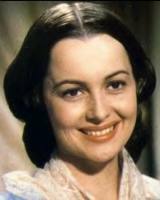 Speaking of manners, ladies, when dealing with Southerners do not be offended if they refer to you as “Ma’am.” They ARE NOT referring to your age whatsoever! In Nashville, like the rest of the South, calling people “sir” and “ma’am” is one of the first social cues that children are taught. It becomes instinct. Nashville is also much more affordable to live in than NYC or LA ever will be. While moving into the heart of the city is still pricey, it is still very doable with new apartment complexes and developments being built everyday. Many of these new developments have even been tailor made specifically for career artists. 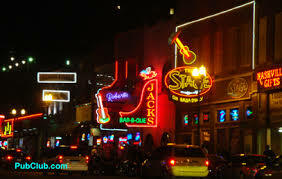 However, if big city life isn’t for you there are many fantastic neighborhoods only a stones throw away from Music City. Franklin, Hermitage, Green Hills, Hillsboro Village, Belmont, and Vanderbilt are just a few great areas to go house hunting in! Follow this link HERE for a Nashville living/housing guide. According to the Nashville Area Chamber of Commerce’s analysis from earlier, Nashville is slighted to become world’s “premier music education center”. Besides having Belmont University and MTSU, two of the best four-year institutions for Audio Production, Music Performance, and Music Business education nearby, Nashville also has created many educational programs. One of the largest is “Music Makes Us“. Mayor Karl Dean, the Nashville Public School system, and many industry professionals joined together to provide high quality musical education to children K-12 by incorporating traditional musical schooling while also tackling newer genres, styles, and technologies. 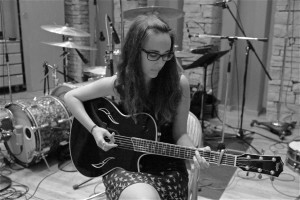 Other fantastic education programs can be found at SAE, The Recording Connection, and BlackBird Academy! It is also very pertinent to mention that the studios, publishers, labels, etc all have internship opportunities! 6) The Record Shop is here! We know how excited you are about starting your career in the music industry, and we want to help!! The Record Shop Nashville’s mission is to provide the best quality product and service for our clients whether they are looking to record a simple demo, an LP, EP, or voice overs. If you want something visual (that’s not to abysmal) , we also provide high quality video and photography. Pack your bags, call the movers, and head down south to Nashville where good music, people and food are abundant. Thanks for spending some time inside The Record Shop’s Nashville Recording Studio! 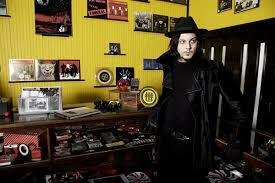 Be sure to follow and chat with us on Twitter @therecordshop for daily updates from Giovanni & The Henchmen. Hey y’all! Welcome back the The Record Shop Nashville Recording Studio for another installment of BEHIND THE GEAR, one of the most splendiforous, titillating gear blogs on this rock we call Earth! Well…we love it anyways. Today we want to share some information about one of the most prolific pianos in music history. The one…the only…Fender Rhodes Mark II electric piano! The Fender Rhodes has been a coveted piano since it’s creation in 1960, when its inventor Harold Rhodes teamed up with Leo Fender to begin mass producing these fine instruments. From Ray Manzarek to Herbie Hancock to “The Ruler of the Rhodes” Billy Preston, pianists alike have been performing live and recording the songs of their generations with these pianos. So come on in, and lets talk about the Fender Rhodes! Before we dive into the instrument itself, we at The Record Shop want to shed a light on Harold Rhodes. 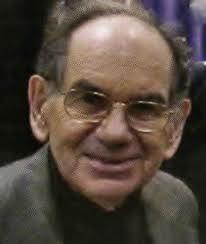 A Los Angeles native, Rhodes began teaching piano when he was 19, where he developed what is now called the “Rhodes Method” of teaching. 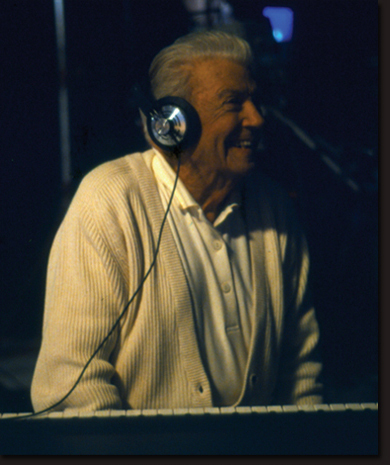 Harold aimed to combine classical piano’s reliance on written sheet music with jazz improvisation. During WWII Rhodes, now one of the top piano instructors in the U.S., joined the Army Air Corps where he continued to teach piano to his fellow soldiers. Harold was soon asked by the Air General Surgeon to create a music-therapy program for injured GIs. Rhodes then built several “lap-top” pianos, along with kits that soldiers could build themselves. These portable, 29-key pianos were made from used aluminum from B-17 airplanes and functioned almost like a xylophone. “Make and Play”, as the program was named, became the the most successful music-related program ever implemented by the United States government! After he returned from War, Rhodes continued teaching and developing pianos with his new venture Rhodes Piano Corporation. Then as history goes, Leo Fender bought RPC in 1959 and mass production began. Harold stayed with the Rhodes company after the 1965, CBS acquisition of Fender and developed the first Fender Rhodes piano. These 73-keyed pianos were made up of two parts – the actual piano and a built-in power amplifier and speaker. 5 years later the 73-note Stage Piano was released! The Stage Piano was marketed for its light-weight portability, detachable legs, sustain pedal, and single output jack. 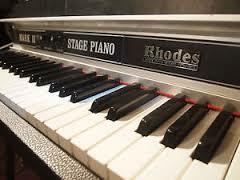 From 1970 – 1981, Rhodes put out The Mark I Stage Piano, which was modified several times over the 1970s, and the Mark II Stage Piano. Of the Mark Series (I-VII), the Mark I and II seem to be the most sought after by pianists. There other pianos in the series seem to be used more for specific sounds and tastes, but they are mostly purchased as collectors items. 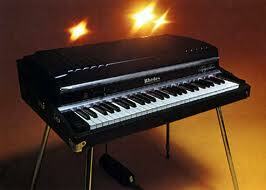 The Mark II is essentially a Mark I stage piano after all the design changes made during the 1970s. It has the same black suitacse look, removable music rack, flat hard cover, volume-control & tone-control (bass boost) knobs, tuning fork principle sound generation, sustain pedal, and adjustable legs. 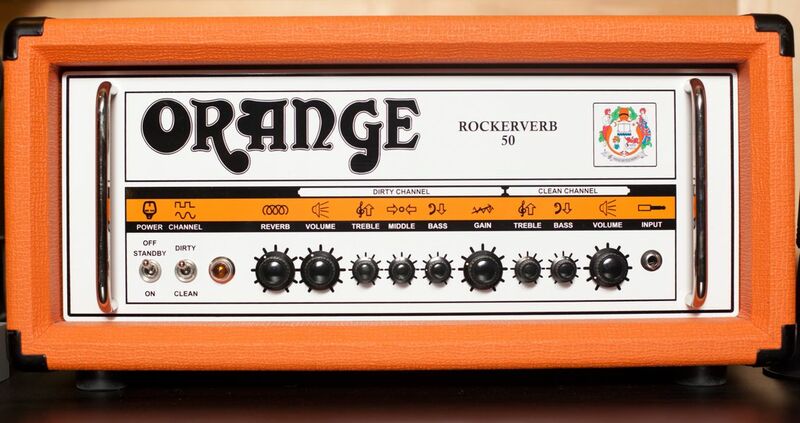 There really isn’t much we can say to describe the Mark II’s tone in words. Follow this link HERE for a video demonstration by Neville Styke’s YouTube channel where he showcases the full audio spectrum of the Mark II. In closing, the Rhodes Mark II Stage Piano has a completely unique tone that can add so much richness to your track and arrangement that is simply unparalleled. Harold Rhodes gave the world an amazing gift by creating these instruments, and he will forever go down in history for his revolutionary designs for pianos and sound creation. So, the next time you find yourself in Nashville give us here at The Record Shop a call and tickle the keys of our Mark II. Thank you for joining The Record Shop Nashville for another Behind The Gear. We hope we’ve been informative. 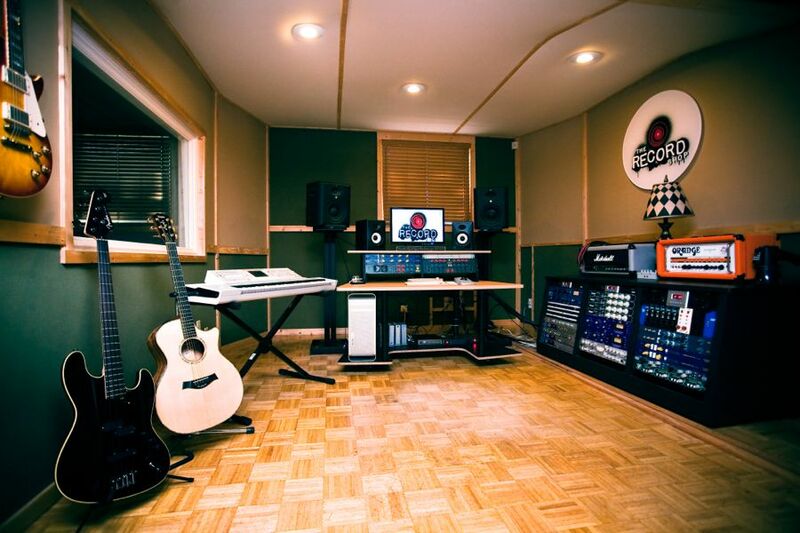 Click HERE for a complete list of our Nashville Recording Studio’s gear. And HEY!!! 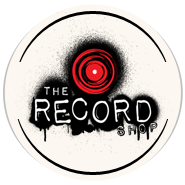 Follow and chat with Gio & the crew on Twitter @therecordshop! See y’all next time! Hey there friends! The folks here at The Record Shop’s Nashville Recording Studio have been slaving away making some music that should be hitting your ear drums ASAP. For now though, we are very happy to continue our never-ending series BEHIND THE GEAR!! So far we’ve talked about a lot of great gear, but today we’re going to talk about a piece of equipment that is universally acclaimed for its sound and versatility. The one, the only API 512c Pre Amp! Did we say universally acclaimed? You’re darn tootin’ we did. In a subjective world of personal tastes and preferences it is hard to come by pieces of gear that practically every person likes, but the API 512c is definitely one of those that breaks the mold. Engineers have been using these puppies since their creation in the 1970’s by Saul Walker. The 512c was so perfect that, to this day, it’s design has remained the true to Walker’s classic lunchbox design. 512c’s have been used on countless recordings by artists such as Prince, The White Stripes, Fleetwood Mac, Jack Johnson, Van Halen, and The Rolling Stones. This mic/line/instrument pre amp sounds great on literally everything. Drums, vocals, guitars…EVERYTHING. Now comes the real fun; the API 512c’s wonderful features! Us Record Shop Nashville natives absolutely love how much punch and clarity you can achieve with the 512c, which is why we installed six of them into our system. The transparency of the 512c is something that needs to be talked about more. These pre-amps bring out every harmonic overtone without adding any coloration to what’s being sent through it. We highly recommend the 512c to anyone and everyone! Thanks for tuning in for today’s Behind The Gear. Feel free to check out The Record Shop Nashville’s full gear list here, and come say Hi to us on Twitter @therecordshop! Good morning, noon, or night music fans! Thanks for coming back to The Record Shop’s Nashville Recording Studio for yet another installment of out never-ending, musically-sensational, out-of-this-world series BEHIND THE GEAR!!! Today’s episode is for all you amazing guitar slingers out there strummin’ and pickin’ them strings ery’day. We have many great guitar amps inside The Record Shop Nashville’s hallowed halls, but amongst our larger 2×12 and 4×12 amplifiers sits the tinier Fender Champ 600 reissue. Don’t let its size fool you; this little guy has been putting out sounds that have bewildered and inspired guitar players since the 1940’s! The Fender Champ 600 was first manufactured in 1949. 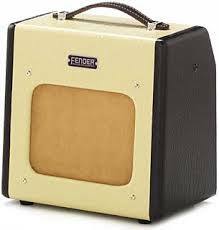 It was the second Champ design; it’s predecessor being the original Fender Champ 800 amplifier that was manufactured one year earlier in 1948. Like the 800 model, the Champ 600 is a 4-watt amplifier with 3 tubes and an angled rear panel with two inputs and one volume control knob. It also had the famous diminutive “TV-front” look with the tweed covering, though the 600’s vinyl covering is a two-tone brown instead of the greenish tweed of the 800 . The only significant difference in the Champ 600’s design is that it has a 6″ speaker cone instead of an 8″ cone. As time went on the Champ was continuously redesigned with different color vinyl and tweed covering, alternate speaker cone sizes, input & volume control placement, and even being renamed to just The Champ or Champ Amp. In 1982, the Fender Champ series was discontinued until 2006, when an updated version was released as part of Fender’s Vintage Model Line. To see a more in-depth history and evolution of the Fender Champ from the company itself click here! The Record Shop Nashville is glad to have added one of the reissued Fender Champ 600 amps to our gear roster. Though it is cosmetically similar to the original 600 there are some differences in the specs listed below. Internally, the Champ reissue has modified Blackface Champ circuitry. 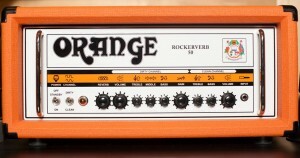 The tone stack settings are hard-wired rather than adjustable via the Treble and Bass controls. Additional resistors were also placed in the circuit to reduce input gain. 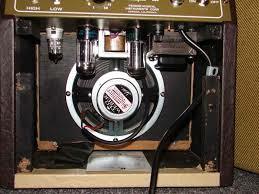 Lastly, Fender switched to solid-state rectification as opposed to the original 5Y3 tube. 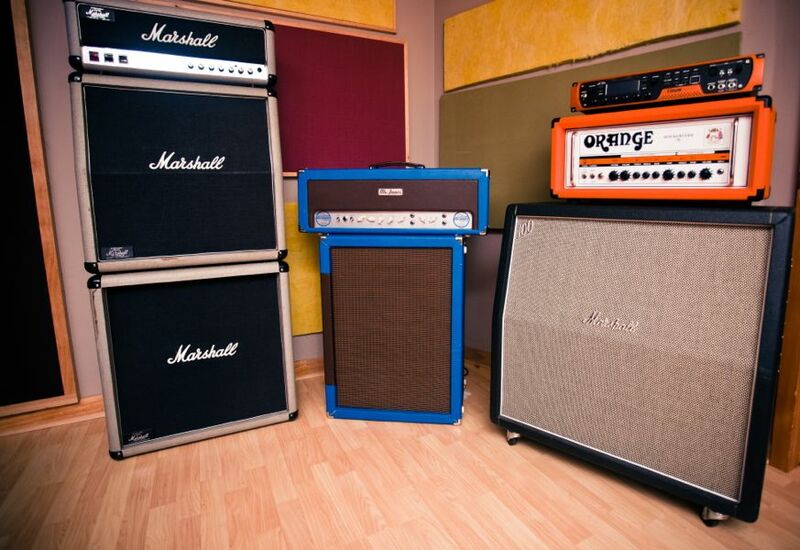 We love using this amp for recordings. Since it’s a smaller speaker, the Champ naturally sounds a little bright, but that is easily cured with proper mic placement. Regardless, this amp can turn out classic, clean Fender tones just as well as other models. Crank this puppy up, and you can get a unique blues overdrive tone too; however, this overdrive isn’t as crunchy as most players would probably prefer. Either way, the Fender Champ 600 is a bonafide tone champion in The Record Shop’s Nashville Recording Studio. Come on in and see what this little giant can do! That’s a wrap on today’s installment of Behind the Gear. We can’t express how much it means to us that you decided to spend some time with us today. If you’d like to see The Record Shop Nashville’s complete gear list here. You can follow and chat with us any time on Twitter @therecordshop for updates on our studio projects and blogs! See you next time. Hey y’all! Welcome to another jazz-tastic edition of The Record Shop Nashville Recording Studio’s multi-faceted, never-ending series BEHIND THE GEAR!!! Boy, Oh Boy do we have a fun one for y’all today. The Fender Jazz Bass has been heralded as one of the greatest bass guitars ever created (read RHCP’s Flea thinks about Jazz bass’s greatness here). That statement is hard to deny when you think about the long lists of musicians who use them like Geddy Lee, Steve Bailey, and Noel Redding. The Jazz was also monumentally important to the development and sound of funk, reggae, blues, and fusion music. So put on your black turtlenecks and berets, and lets dive in to the wonders of this spectacular instrument. Every musician and music lover must pay their respects to Leo Fender for revolutionizing the bass guitar forever by making it smaller and amplified. The Precision Bass, created in 1951, allowed the bass guitar to actually be heard amongst the Big Bands of the day. Nine years later Fender changed the game again when they produced the first Fender Jazz Bass. 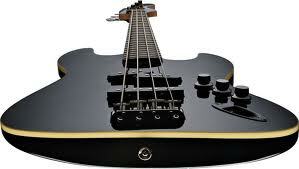 The Jazz became the new standard to which all electric bass guitars were to be compared to. 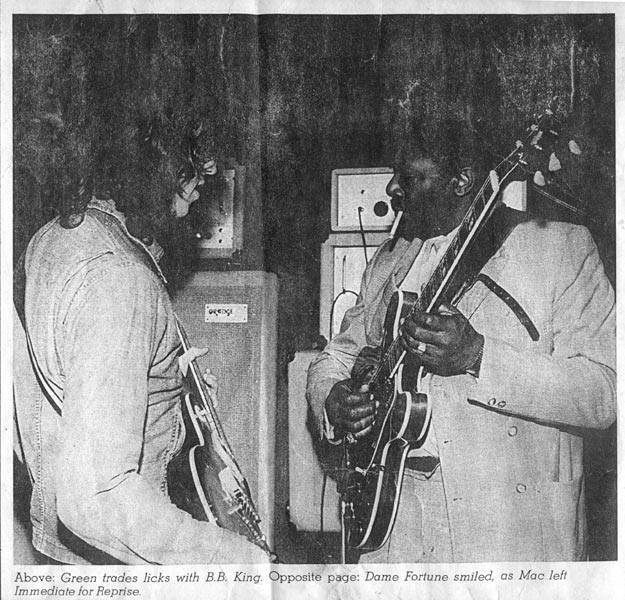 It’s tapered neck, off-set waist, and two-set pickups made the Jazz more sonically unique and allowed for faster, easier playing! The Jazz’s sound, in comparison to it’s predecessor, is much brighter and full in the mids and treble with less emphasis on the fundamental frequency. The the strength of the mids and treble came from the double, single-coil pickup’s having two pole pieces per string, which Fender used to compete with the famously bright tone of Rickenbacker basses. It also made the bass perfect for slapping! From 1961-1963, the newer Jazz models became equipped with new features like going from two control knobs to three (two for pickup volume, one for tone control) and “Spring Felt Mutes“, but the Jazz received some major cosmetic alterations after Fender was bought by CBS. 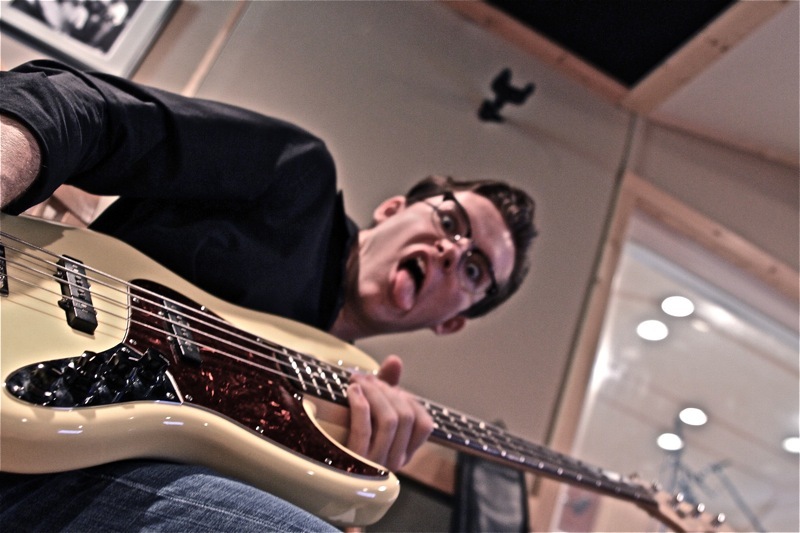 For a more in depth look at the history of the Fender Jazz Bass click HERE! The Record Shop’s Aerodyne Jazz Bass! The Aerodyne series was first introduced in 2004, and they are still being manufactured today! Here, at The Record Shop’s Nashville Recording Studio, we have a 2007 model in our possession. Like other Aerodyne Jazz models it has the typical Jazz shape but with some differences. For one, it is much lighter than your normal Jazz bass weighing about 7lbs whereas the standard is about 10lbs. Secondly, it is thinner than the standard Jazz because of its 39″ top radius. Other notable design features are its 1.5″ nut, slim “C”-shaped neck, 20 medium-jumbo frets, fret markers on the side only, cream binding, and its Telecaster input jack. A stock Aerodyne bass has the split single-coil P-Bass pickup in the middle position and a J-Bass single-coil pickup in the bridge position with volume controls per pickup and one master tone tone knob. Our Aerodyne has been modified with EMG bass pickups (pictured above). We also switched out the Master Tone with a concentric pot (the bottom of the pot controls the bass frequencies and the top pot controls the treble) allowing you to have more tone control! That wraps up another edition of Behind The Gear! We thank you so much for spending part of your day with us here at The Record Shop Nashville. Feel free to explore the rest of our blog, and click HERE for a complete list of our Nashville Recording Studio’s gear! Also, don’t be such a stranger! Follow and chat with Gio and his merry henchmen on Twitter @therecordshop! Well hey there ladies and gentlemen! It’s time for another rumblin’, tumblin’, spittoon-spittin’ edition of The Record Shop Nashville Recording Studio’s BEHIND THE GEAR!!! And boy howdy, if today’s installment ain’t a doozy folks. We are very proud to talk to you about our lovely Vintech Audio Model 273 mic preamplifier. A Little Bit About Vintech! Vintech Audio has been producing high-end analog outboard gear since their formation in 1997. The young company makes each of its devices right here in the United States. Each of their products are class A, discrete transformers-balanced mic pres whose circuitry is based off of the great Neve 1073 modules (pictured below). The names of each Vintech Audio 73 series models (i.e. 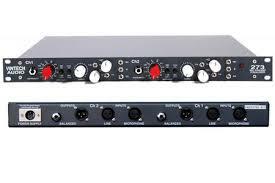 the Vintech 73, 273, and 473) are named after the amount of channels each has; clearly out 273 is a two-channel with a fantastic built in EQ. That’s it! The 273 has no other built in effects. The Vintech 273 has two instrument inputs on the front and XLR inputs in the rear. The parameters of the 273 are pretty standard: there are gain, output, and two-band EQ controls per channel. Each channel also comes equipped with a set of switches for phantom power, phase in/out, EQ in/out, and a 5k/10k shelf for the EQ. Lastly, Vintech installed push-push pots to alter the impedance and to switch the channel from a mic to line input. Neat and organized, the Vintech 273 has been a great addition to our Nashville Recording Studio’s rack. Well that wraps up today’s Behind The Gear. 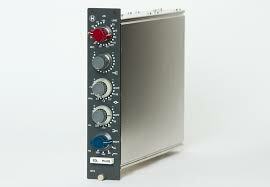 We hope we’ve given you a little bit more insight into the wonderful Vintech Audio model 273 mic preamp. Be sure to check out The Record Shop Nashville’s complete gear list. And don’t be a stranger y’all; follow and chat with us on Twitter @therecordshop for daily updates from your friends at The Record Shop! Artifact is Jared Leto’s documentary that began as a behind the scenes look of his band, 30 Seconds To Mars, recording their third album “This Is War.” As the project began, the focus of the movie took a dramatic twist when the band’s record label, EMI, filed a $30 million lawsuit for breach of contract against them. A quick summary of the issue is that the band signed a recording contract with Immortal Records in the late 90s. The details of this deal aren’t explained very well in Artifact. However, this deal has been regarded by the band’s Manager, Irving Azoff, and their attorney, Pete Paterno, as the worst record deal ever. In 1999, Virgin Records bought their contract when they purchased Immortal. Over the next few years 30 Seconds to Mars released two albums, “30 Seconds To Mars” and “A Beautiful Lie”, embarked on world tours, and accumulated $3 million in debt to their label. 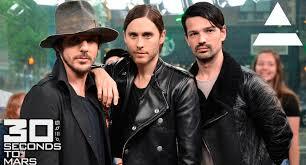 What triggered the actual lawsuit was that, before they started working on “This Is War” the band had tried to terminate their contract because they had not been paid a single royalty from EMI. They invoked a labor clause called the De Havilland Law, which states that, in California, no service contract is valid after seven years. This termination was viewed as a breach of contract because the band had only delivered two of the five albums that their deal required. This film also shines a light on the dwindling record industry, and the many failed attempts by labels and music industry outsiders to save their industry. Everyone is aware of the dramatic change in the music industry, and the world, since the dawn of digital downloading and file sharing. The record industry has taken the biggest hit because people don’t buy music anymore. This led to many labels consolidating their staff, establishing 360 deals as the norm, and screwing artists out of a lot of money. As Artifact ended, EMI gave in to 30 Seconds To Mars’ demands. The lawsuit was dropped and the band signed a new deal with EMI. This comes as no surprise because most major label lawsuits against their artists end before they go to court. Why? Artists can’t take the financial loss from legal fees like a major label can. It’s like any country trying to attack Russia during winter; they freeze or starve to death. Another big factor for resigning was that the band couldn’t maintain its worldwide success without the backing of a label. They actually may have been able to do it on their own, but that is a massive amount of time and effort (i.e. the Trent Reznor case study). 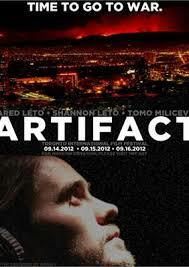 Overall, Artifact sets a negative connotation towards major recording labels. Many of the people interview in the film say that they don’t know of any major label that doesn’t try to screw the artist; their whole economy is based around getting as much money from their artists as they can. Now, with in the world of the 360 deal, they are even trying to take a cut from artist’s merchandising, publishing, and everything else the artist does that has nothing to do with the record label. It must be said though that independent labels are also signing artists to 360 deals, and these major labels aren’t as evil as some would have you believe. There are always going to be examples of questionable business tactics, but major labels have been a staple in the music industry for over a century. They’ve helped the greatest artists of every generation spread their music all over the planet, and there is always going to be a need for big players. Who knows what the world would sound like without the work these labels put in? So, “What’s the new model? Why isn’t there one that’s better?”, asks Leto. The truth is no one really knows yet. The record industry has been slow to making changes and adapting to the new technology being made over the last two decades. Singer Serj Tankien points out in Artifact that major labels never even thought about creating their own online distribution systems, which Apple did with iTunes. Whatever the solution turns out to be, it is clear that it will only come to fruition if the major labels stop trying to fight the Internet and learn to live within the Digital World. One amazing thing that has happened because of the Digital Age is the up rise of Independent artists & labels and the ability to perform many of the duties major labels used to perform from your laptop. As an independent, multi-faceted recording studio, The Record Shop Nashville is proud to be apart of this amazing developmental period of the music industry. We have been very fortunate to have worked with amazing artist from both the independent and major league worlds, and it has given us a firsthand look into each. From what we have found, both worlds are inhabited by some truly incredible people that all share one thing: an irrefutable love and passion for music. Thanks for hangin’ in there till the end! Don’t forget to check out the rest of our Nashville Recording Studio’s blog, and be sure to follow us on Twitter @therecordshop for plenty of photos and updates from your friends here at The Record Shop! Hey there music fans! Did ya miss us? Well don’t worry, The Record Shop Nashville is back to bring you another segment of our Nashville Recording Studio’s series BEHIND THE GEAR (and the crowd goes wild!!!). Today’s BTG is about not one, but three of The Record Shop’s favorite pieces of gear; our beautiful Taylor Guitars. We are all aware that music and sounds are subjective. Each person has their own personal tastes. The man, the myth, the luthier legend Bob Taylor acknowledges that not every one is going to prefer the sound of a Taylor guitar over other guitars, but there is no denying that a Taylor guitar plays well; which, we all know was Bob’s ultimate goal. He is a personal hero to us at The Record Shop because of his dedication to the design and advancement of guitar manufacturing. Typically when you think of a product going into mass production, the quality tends to get worse as costs are cut to make profit. Bob understood that mass production meant that Taylor Guitars had an obligation to their new customers to make the quality of his guitars even better than when he was making them individually by hand. So, as the legend goes, he and a team began designing his own factory machines to supplement the increase in demand. Taylor Guitars developed things like their own steam presses whose heat is adjusted depending on wood type, assembly lines of saws and files to cut the neck and head stocks, and even lasers that can make cuts thinner than a stand of hair! 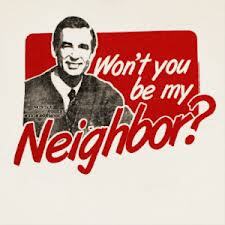 We would be remiss if we didn’t mention Bob’s humility. Most companies try to keep their trade secrets hidden, but Bob has always been animate about sharing his process and knowledge. You can watch his great factory tour videos at Taylor Guitar’s website here! Taylor Guitars, along with many other guitar manufacturers, also have a strong passion for the preservation of the world’s forests so they can keep building guitars out of the best woods from around the world. One last great thing about Taylor Guitars is their effort for obtaining ebony for their guitars by only ethical means. Have we mentioned the lasers yet?!?! For these many reasons, and simply because we love the sound, we have acquired our Taylor Guitar Triple Threat! Nestled in the halls of The Record Shop Nashville you will find our Taylor 914c, Baritone, & T5! The 914c is a special edition, made out of cholla wood, and can achieve any genre-defining sound for your track. Have you ever played a Baritone guitar before? The tonal depth that this unique design creates is unparallelled. Lastly, the T5 is electric-acoustic powerhouse of tonal versatility with two sets of humbucker pickups, a body sensor, 5-way pickup switch, and 2 preamp tone control pots. Playing these Taylor guitars is one of the most addictive things in the world. It’s a miracle we get any work done with these beauties batting their eyelashes at us all day. Thanks for tuning in to this session of Behind The Gear! Feel free to peruse our Nashville Recording Studio’s complete Gear List, and don’t be a stranger! Follow & chat to us on Twitter @therecordshop.